Seniors can be adding years to their life. Dr. David Lipschitz agrees, claiming seniors who travel live longer. Most working Americans are restricted yearly to a two-week vacation time; on the other hand, retired seniors have more flexibility and the availability to travel. With much to look forward to in the golden years, wrinkles and gray hair can serve to be particularly rewarding when it comes to snagging good deals, but itâ€™s important to do your homework. Lenore Kobren, a Signature Travel Expert with Sun Travel, Inc. in El Paso, says there are special packages geared towards retirees. 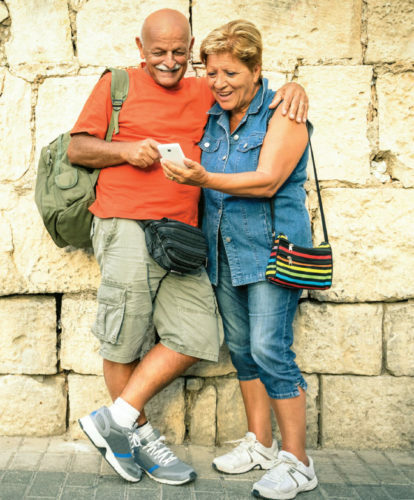 For example, major cruise lines such as Norwegian, Princess, Royal Caribbean and Celebrity, will often ask her if any seniors are traveling and will offer a discount to individuals 55 years-old and over. She says most companies do their best to accommodate seniors, especially those with disabilities. Kobren recommends a river cruise for older folks, yet says it’s still important to keep in mind that quite a bit of walking is often involved. If this type of activity floats your boat, pack light. Think ahead and prepare yourself with essentials such as comfortable shoes and clothes. Stocking up on medications, as well as leaving them in their original bottles, is also a good idea. Companies such as “G Adventures” claims to save travelers up to 30-percent on river cruising and 25-percent on select expedition tours. Traveling in smaller groups usually is a better bargain. For the younger and more adventurous crowd, Kobren suggests sticking to backroads and activities such as bike riding and hiking. If that seems like a better fit, “Backroads” is another popular travel company that can help with planning a fun bike tour or walking and hiking tour. Like Kobren, Jeff Keckley also prides himself in helping clients find their area of interests and a good fit when it comes to vacationing. Keckley owns Travel Del Sol on the westside of El Paso and says, in actuality, for a new traveler it can take about two, three hours in just talking to them in order to lay out options that will hopefully help them narrow down their destination. For example, he says he often finds himself trying to balance out activities among spouses. According to Keckley, it really just depends what each individual’s goals are. While on vacation himself, Keckley says he once crossed paths with a 101-year-old man who spent months on cruises with the mere goal of striving to dance with every woman aboard. Keckley believes older travelers might not think they can do a lot, but simply the change of scene can become the adventure they set out to find. While many retirees have a more flexible and open schedule, shooting for shoulder season has many benefits. Traveling in April through mid-June, or September and October, are typically cheaper and mean smaller crowds and nicer weather. Just remember to dress accordingly and look into indoor activities should you be faced with windy or rainy weather. Independenttraveler.com claims traveling via train and is on the rise again across America is a great way to tour new attractions. It is often cheaper for the general public and senior discounts are usually offered. For instance, Amtrak offers travelers 62 years of age and over 15-percent off most fares. Amtrak trains also allow up to four 50-pound bags for free (two-carry-on, two checked). You can’t beat that with an airline! 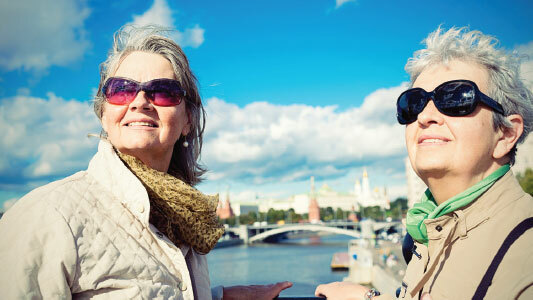 Independenttraveler.com gives lots of tips for traveling seniors and encourages taking advantage of AARP programs. According to the website, AARP members “have access to savings and discounts on all types of travel, including cruises, car rentals, vacation packages, hotels and even activity and restaurant discounts.” A number of discounts, even special limited-time offers, can be found in the discounts section of aarp.org. 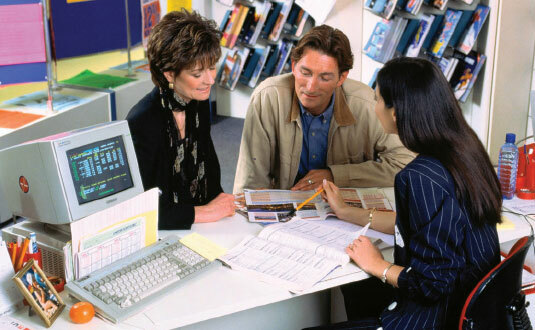 Be advised to double-check AARP rates with all other discounts in order to save the most cash. Seniors should also consider obtaining travel insurance. This additional fee might seem unnecessary, but could save you a fortune should you get sick or be faced with a medical emergency in another city or country. Travel insurance can also work in your favor if you need to cancel last minute or provide replacement value on lost luggage. Before traveling, seniors should consult their doctors and have their approval, especially for someone with a chronic condition. Despite older bones and the aches and pains that come with the years, it is never too late to enjoy life to the fullest. While a number of companies offer exceptional services to seniors, it is important to be informed in order to avoid steep costs that can add up quickly.